Omar’s parents farm for a living. When there is no rain, their food is sparse. 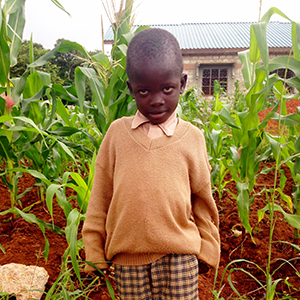 Omar lives with two siblings near the school so that they can get educated and fed. Omar has had marasmus, but is starting to improve in his ability to learn.